(UPM, Helsinki, 24 April 2018 at 13:00 EET) - UPM Biofuels' continuous efforts for a more sustainable supply chain and operations has been recognized by the world's first RSB (Roundtable of Sustainable Biomaterials) low ILUC (indirect land use change) risk certification. The certificate was received for crude tall oil, the feedstock used for UPM BioVerno renewable fuels production at the Lappeenranta Biorefinery in Finland, and for UPM's cultivation of the Brassica carinata oil crop in Uruguay. 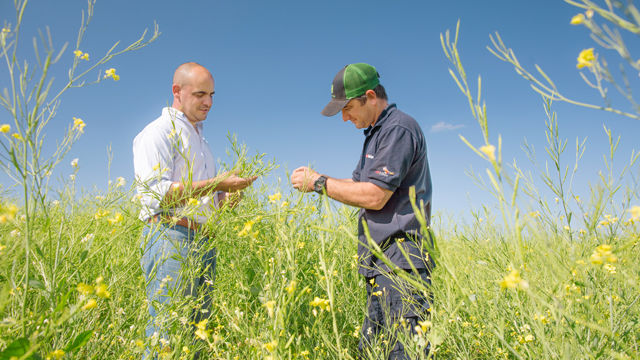 The RSB low ILUC risk certification is an additional proof of sustainability for UPM Biofuels, showing that the company's use of crude tall oil and Brassica carinata oil for biofuels production has a low risk of causing indirect emissions elsewhere. 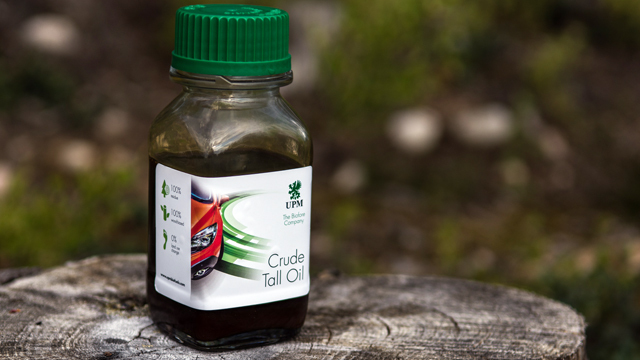 The low ILUC risk RSB certification places UPM Biofuels' raw materials, crude tall oil and Brassica carinata oil in the category of most sustainable feedstocks. Brassica carinata oil from UPM Biofuels' feedstock production in Uruguay has a low risk of causing indirect land use change emissions when used for biofuels production. "We are honoured to receive this first of a kind low ILUC recognition for our feeds. It gives further third party proof of UPM Biofuels' commitment to produce top of the line sustainable biofuels and biomaterials for our customers," comments Maiju Helin, Head of Sustainability and Market Development at UPM Biofuels. UPM Lappeenranta Biorefinery uses crude tall oil, a wood-based residue of pulp production, for making advanced biofuels. Crude tall oil (CTO) is a residue of pulp production originating in sustainable forestry. The new low ILUC risk certification process, a voluntary addition to RSB certification, has confirmed that the amount of CTO required by UPM BioVerno for production can be used without diverting it from other uses. The secondary cropping concept for Brassica carinata, a non-edible oilseed crop grown outside the main cultivation period, has been tested and developed by UPM Biofuels in Uruguay. This new certification verifies that Brassica carinata oil from UPM Biofuels' feedstock production in Uruguay has a low risk of causing indirect land use change emissions when used for biofuels production. "The RSB is proud to count UPM among the visionary biofuel producers that are not only RSB certified for their wood-based biofuels in Lappeenranta, Finland and Brassica carinata cultivation in Uruguay, but have now received the world's first RSB low ILUC risk certification. This shows that their biofuels have not only achieved the requirements of our rigorous standard for sustainability, they have also been verified under this module, meaning they have minimal or zero risk of indirect impacts - such as deforestation or increased food prices - elsewhere in the world. With reduced greenhouse gas emissions which meet the highest standards of sustainability and transparency, as well as demonstrating the lowest impacts on nature and food production, these are the biofuels of the future!" says Rolf Hogan, Executive Director of RSB. RSB is one of the world's most trusted, valued and peer-reviewed standards for biomaterials. It is one of the European Commission's approved voluntary schemes used to show compliance with the EU Renewable Energy Directive's sustainability criteria. Additionally, RSB's is the first standard to utilise a low ILUC-risk module for biomass certification. UPM Biofuels' production has been evaluated against this low ILUC requirement, EU RED criteria and the 12 RSB principles, which have been approved by their many stakeholders, including NGOs and UN agencies. The Roundtable on Sustainable Biomaterials (RSB) is a global, multi stakeholder independent organisation that drives the development of a new world bioeconomy through sustainability solutions, certification, innovation, and collaborative partnerships. It provides tools and solutions that mitigate business risk and contribute to achieving the UN's Sustainable Development Goals - and RSB has one of the world's most trusted, peer-reviewed, global certification standard for sustainable biomaterials, biofuels and biomass production.